We were first contacted by composer and Transfiguration organist Joel Martinson in August 2004. The congregation was looking to replace a ‘temporary’ 13 stop tracker organ built by Robert Sipe in 1971. They are another church with an ambitious music program, and in need of a larger, and musically flexible instrument. In preparation for our installation, the church removed a second elevated platform in the balcony and performed much remedial work on the sanctuary to enhance the acoustics. 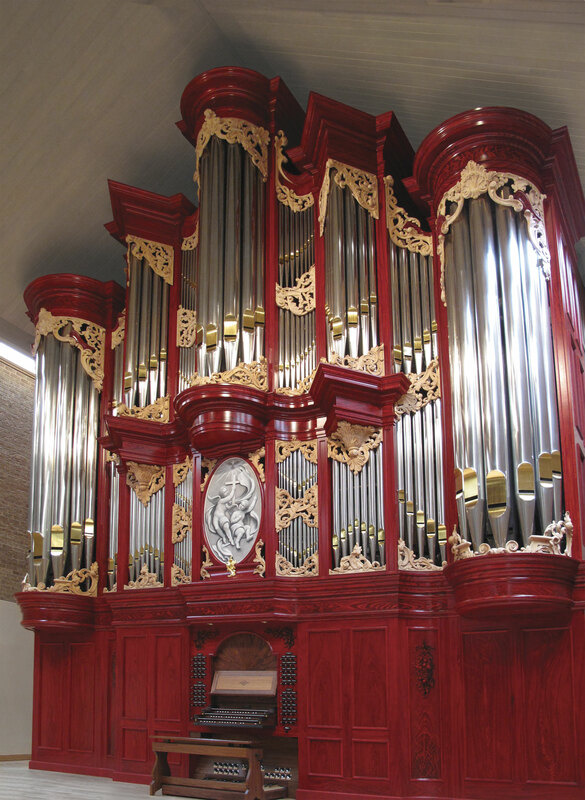 This organ takes advantage of a rear gallery placement with adequate height. The Great division speaks from the high central area with the Swell directly behind it. The Positive speaks from below, and in closer proximity to the choir. 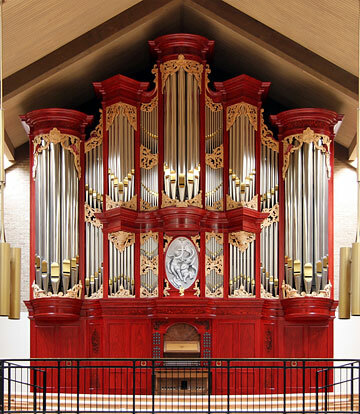 Four 16 foot stops on the manuals and 3 more independent 16 foot stops in the pedal give this organ ‘gravitas’ commensurate with the imposing case. 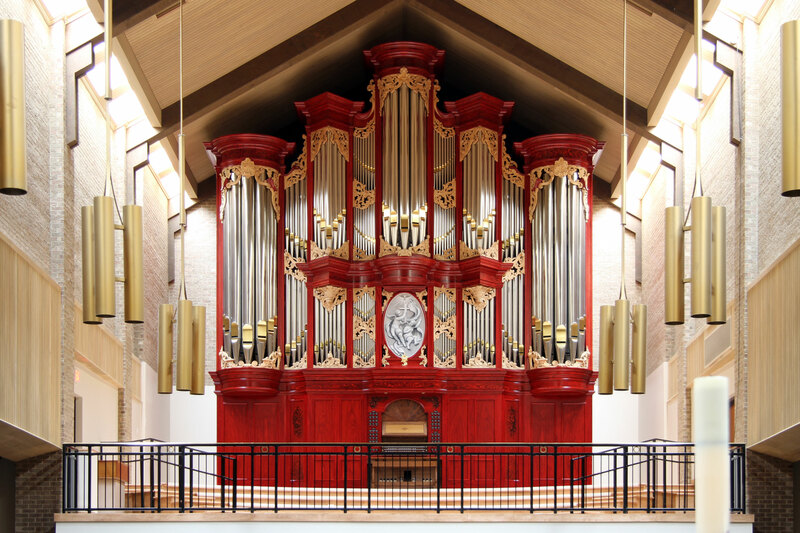 The overall design is patterned after two Hinsz organs in Holland, with faux grained casework and baroque carvings to fill out the undulating façade of this instrument.